© Jim Kirby. All rights reserved. 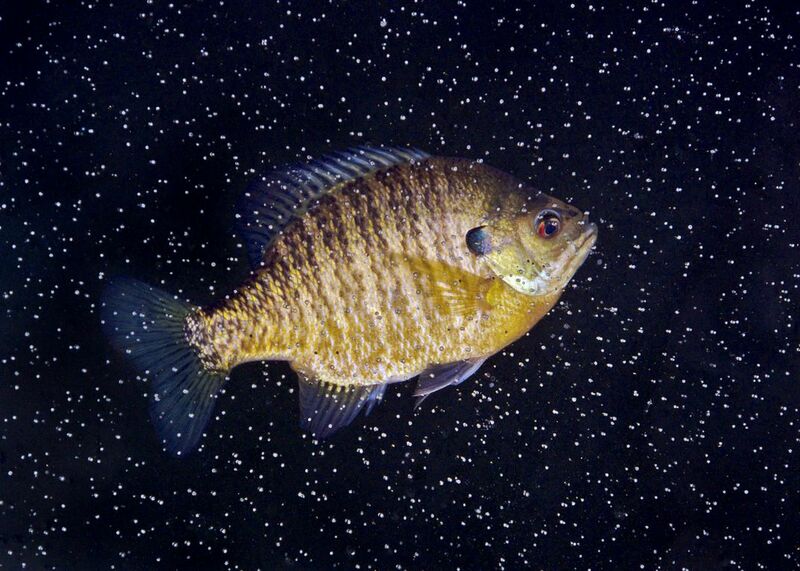 On a frozen lake, a Bluegill swims under five inches of clear ice. The air bubbles trapped in the ice appear like stars.